Bennion Construction is a full service General Contracting company – building new construction as well as residential remodeling. Bennion Construction can help home owners finish their basement, upgrade their kitchen, remodel their bathroom, or add another room onto their house. We can build your deck, install your windows, hang a door, or trim out a living room. On larger projects, we collaborate with architects and engineers, as well as highly skilled trades' people, including electricians, plumbers, tile setters, drywallers, roofers and painters. Over the years, we have carefully selected exceptional sub-contractors who share our philosophy of safety, quality, cost management, and on time scheduling. 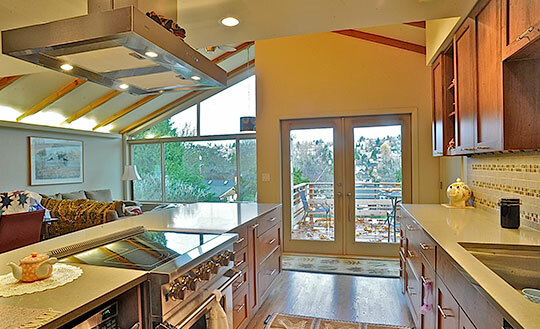 We provide consultation for owners in the early stages of a project, connecting them with Seattle based architects, as well as developing preliminary cost analysis. We provide permitting assistance, and help with communication between city planning departments to get your project approved. We provide engineering assistance for projects which require special calculations, and materials. We believe the client and the contractor are a team working together to complete the project. Once an architect has drawn your ideas into a plan, we estimate and provide a proposal to reflect the cost of construction. There are a number of different bid methods we provide, depending on the project. Most common is the lump sum bid. This is a fixed price proposal, which includes all labor and materials to complete the specified scope. All risk is assumed by contractor. Another type we provide is called a Cost-plus fee proposal. This method is used when the scope of work is less clear. Risk is shared. Lastly, for smaller projects, we will work on a time and materials basis. This is based on an agreed upon hourly rate, and materials are usually at cost. Once a contract is signed, we begin working. Throughout the project we provide weekly progress reports, which are summations of the weeks work, as well as a look at the following weeks ahead, including schedule updates and percentages of completion. Safety is our number one priority, thus we always keep a clean job site. We pride ourselves on craftsmanship and exceptional quality. Lastly, managing the budget and keeping on schedule are both key focuses of our business.